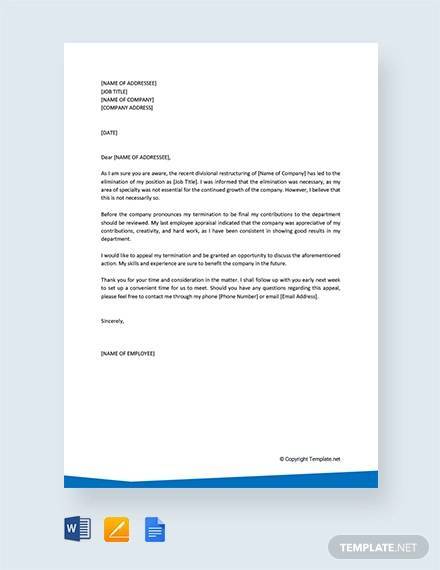 There is a need for an appeal letter if you want an authoritative figure to reverse or reconsider the decision they have made about an individual or a group of individuals. 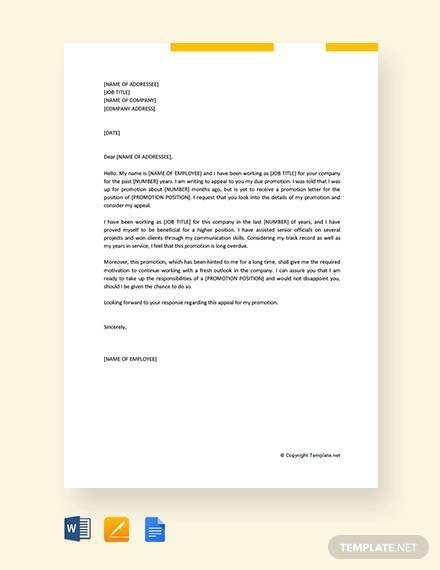 Since these are letters that are used for serious matters, a business letter format should be used to give it a polished and professional look and tone. 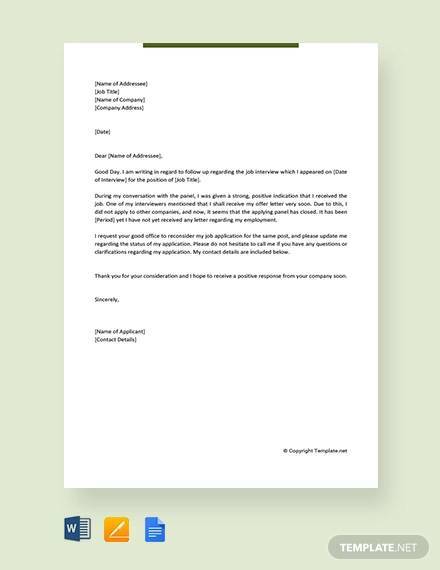 An appeal letter can be used for various situations and we have eight Sample Letters that you can refer to should there be a need for you to write an appeal letter. These samples will serve as a great guide for you as they are high-quality templates. Browse through all of our samples below. 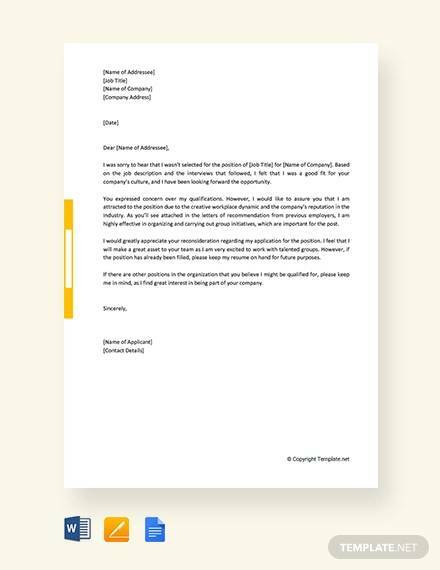 Follow a business letter format for your appeal letter to give it a professional look. 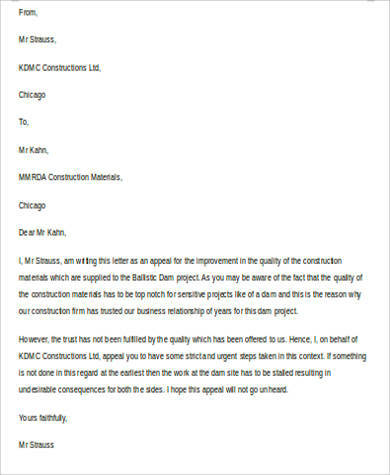 Start with a letterhead, followed by the date the appeal letter was written, and then the recipient’s details. Use opening and closing salutations properly. Introduce yourself. This should be found in the first paragraph. The first paragraph is your opportunity to grab the reader’s attention. Make sure you write in a confident manner, but you still have to be careful with your choice of words so as not to sound confrontational. 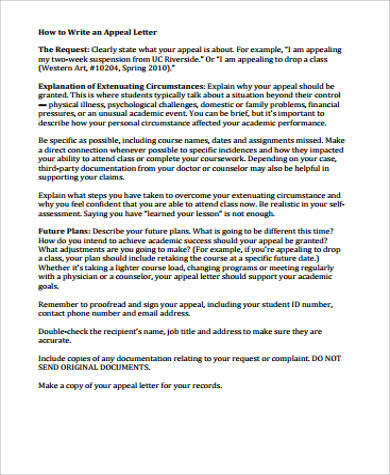 Describe the event and the reason why there is a need for you to write an appeal letter. Make sure you state factual situations in order to give your letter more evidence and to legitimize it a notch higher. Keeping your reasons clear can help the reader understand your purpose much better. 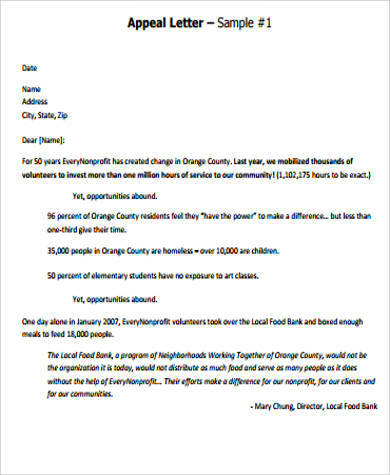 See Financial Hardship Letters. State the outcome you want from the situation. Make sure you explain why these are the desired outcomes that you want from the situation. Give a time frame when you will be needing an answer. Be straight to the point why you will be needing the answer by then. Express your gratitude to the reader. Let them know that you are grateful they took the time to go through your letter. You may also want to go through Collection Letters samples. 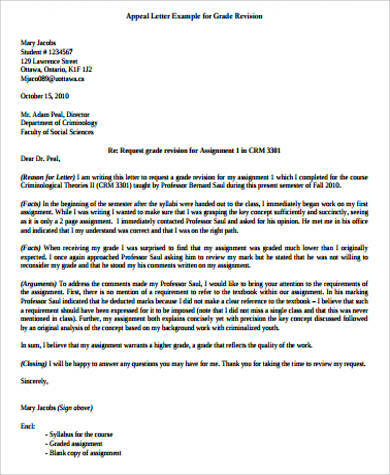 The sample appeal letters in this article will help you out when it comes to writing an effective letter that would grant you the outcome you want. 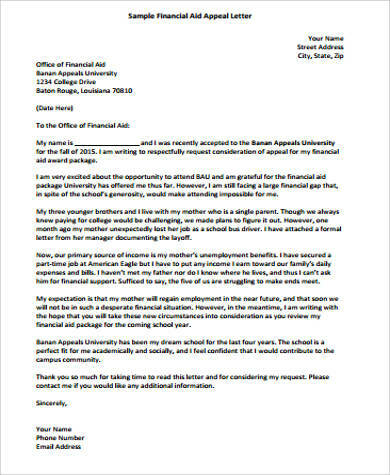 Whether it be for a slot in a university, a scholarship grant, or asking for financial aid (see Financial Aid Appeal Letters), there will surely be one that you can make use of. 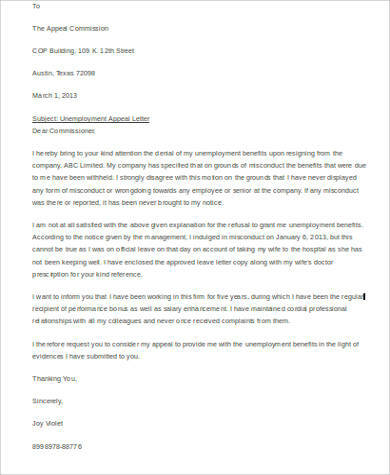 Here are a few reasons why you should utilize the appeal letters in this article. The sample templates are accurate in format and are designed to be easily understood by the user. This helps you expel lesser energy when it comes to drafting your own appeal letter. Downloading is very easy. Once you click on the DOWNLOAD button, you will be asked to verify that you are not a robot by answering a simple captcha. Once you click verify, you can now save your chosen template on your device. These templates are downloadable in both PDF and Word Document file formats. You need not pay anything as these high-quality templates are all free of charge. 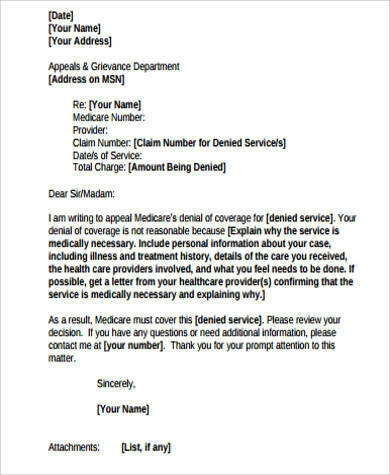 There’s a wide variety of appeal letter formats you can find for different types of circumstances. 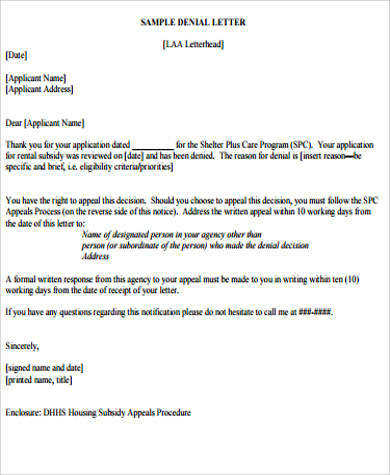 Just choose one that matches or is closest to the situation you will be needing an appeal letter for.